I’m not talking about a nonchalant puppy. I’m talking about a 15-year-old’s foray into the kitchen. “Do we have any hot dogs?” he asked. “Knock yourself out.” I thought to myself. 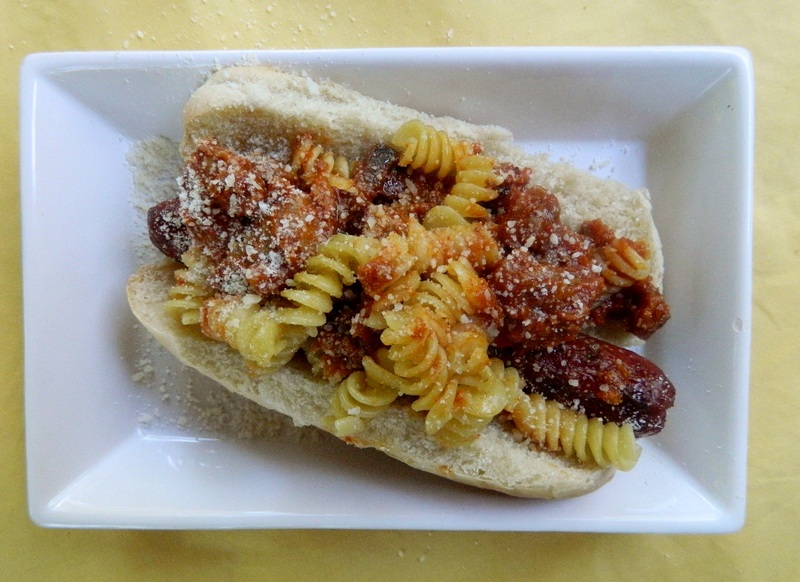 He came up with a hot dog on a bun topped with pasta and meat/marinara sauce. Was it that good he will make it again? I don’t think so, but that’s not the point. This is where it starts with our kids. Let them go in the kitchen when they’re motivated, even if it’s not in the game plan. This is the beginning – the training – for how they will one day enjoy feeding their own families. And the kitchen isn’t just for girls. In this family, all of us consider it meaningful work to feed the family and our friends.